There’s nothing more horrifying then when you wake up in a pile of sweat, eyes wide open, in the pitch dark of your room in panic! Your first thought, ‘What kind of dream was that and what does it mean?.’ You are convinced this is a dream you must pay attention to as you had the same dream for the third night consecutive. Some dreams are so vivid that we remember them easily and sometimes make us feel anxious and obsess with finding their meaning. Dream interpretation has been around for centuries. Dreams don’t always tell us a simple story. Dreams are a universal language, creating pictures out of emotional concepts. There’s no single, or definite meaning for the images, storylines or symbols in dreams. 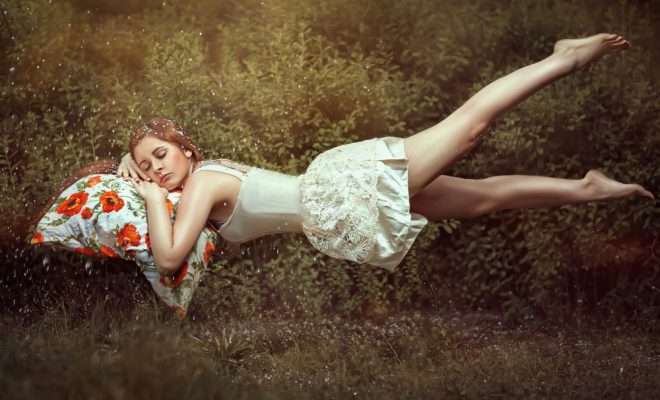 However, some dreams have a general accepted meaning, and below 7 common dreams and what they mean. Not all falling dreams are scary and negative. Some dreamers report a type of slow falling that indicates serenity and the act of letting go. Often, falling uncontrollably from a great height indicates there is a problem in our life, at work, or maybe in your relationship that feels very much out of control. Dying more so a nightmare than a dream, but what does it mean if you or a loved one perishes in a dream? Will someone’s life be taken soon? Will it be your life? No, chill! If you dream about dying, chances are there is something in your life you wish would change forever: a partner, job, relationship, or whatever. The dream is encouraging you to dump the old and move on with the new in your life. Dream authorities, generally agree that dreams do not tell the future and do not read minds. Dreams much like your fortune teller take cues from your life and then try to reinterpret it in your mind while you dream. So a dream about a cheating partner might mean they are spending more time, or giving too much attention, on something other than you. Easy, take a breather. This could just be sports, shopping or clothes! Don’t be too rash to jump into conclusions – like cheating suspicions. Dreaming about paralysis is very common. This kind of dream may symbolise the problem and struggles you may be experiencing in your life. It may signify that you are feeling stuck and restrained from accomplishing a particular important goal in your life. This is one of the most commonly reported dreams only because it’s so vivid and easily remembered. Often, the reason for this type of dream comes not from the fear of actually being chased, but rather what we’re running from. Chase dreams help us to understand that we may not be addressing and it pushes the person to face the problem that has been requiring their attention for a while. If you’re naked in a dream you’re probably going to see anxiety and vulnerability in the mirror. If you have a new venture in your life you may be feeling vulnerable and this is why you are showing up lacking clothes. Just as the vehicle is out of control, your life is too. It could be a sign of a current bad habit and you feel like you have lost control of it. Uh oh. Flying in a dream, is about freedom of letting go. This type of dream is trying to tell you to just let those problems in your life fly away.